An original drawing, sumi on thin paper, 7.25 x 5 in, 18 x 12.5 cms. 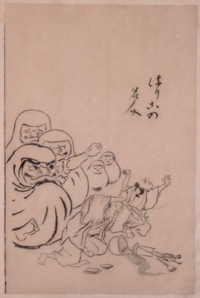 The original design for the Master of Papier Mache from a Hundred Pictures by Kyosai published 1863-6. Shows Dharma dolls coming to life and terrifying their makers. 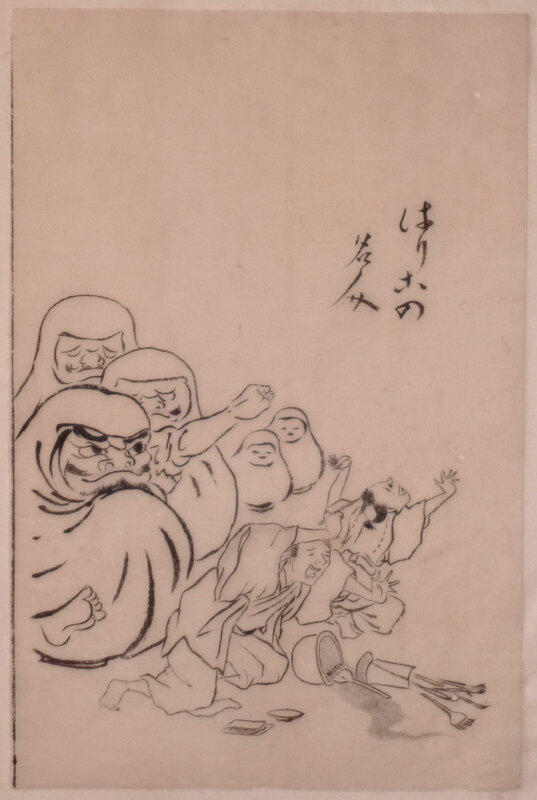 The print illustrated in Kawanabe Kyosai, The Tokyo Shimbun, 1996, no. 122-5, p. 213. Good condition.